heartrate tracker to compile a complete list of statistics about your health and wellbeing. Nothing will beat EverDrive® in quality and durability. 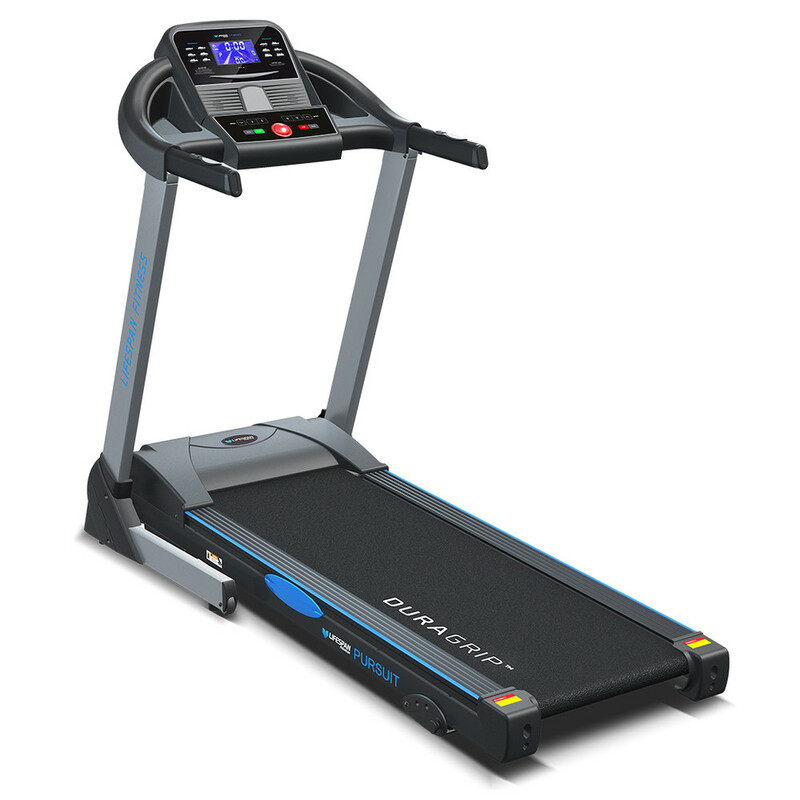 EverDrive® combines innovative motor engineering technology with the highest quality components to produce a new revolutionary treadmill motor. 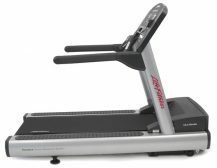 Increase the intensity of your workout and reach your fitness goals faster by adding up to 3 levels of manual incline. Training on an incline increases your heart rate and greatly improves leg strength. The commercial grade, innovative groove belt which maximizes grip and durability for safe and long lasting high end performance. DuraGrip® belts have anti-static properties and noise reducing material to ensure a pleasant walk, jog or run. ankle and feet to keep them well protected for every-day workouts. Save space with HydraAssist®. 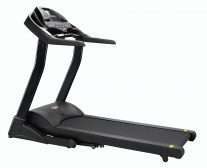 HydraAssist® creates a simple and effortless way to fold up your treadmill, and a soft-drop mechanism when unfolding your treadmill. 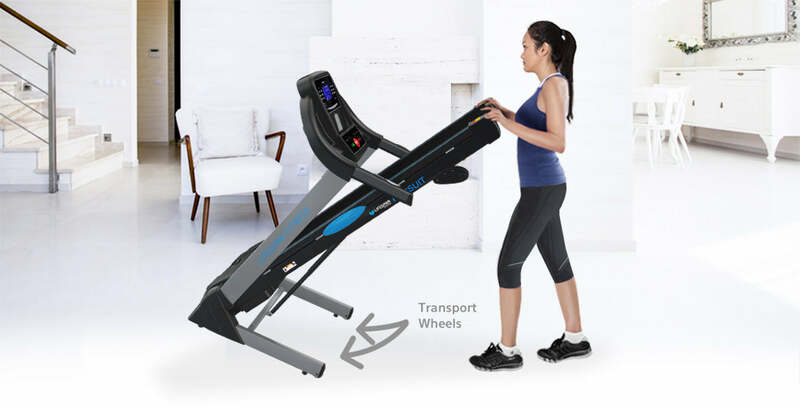 Once folded, our Treadmill features two transportation wheels for easy mobility. Your workouts will no longer feel like a chore, with an integrated iPad, Tablet or Book/Magazine stand that will allow you to keep yourself entertained during workouts. Stay in touch with your workout data with a simple, but easy to read backlit LCD display. 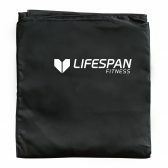 Shows speed, time, distance, calories and pulse. Whether you’re training for mountain runs, hill climbs or looking to make the most of your time with High Intensity Interval Training (HIIT), we’ve got a massive range of pre-set, personal trainer advised programs to suit your needs. Computer Large LCD display. 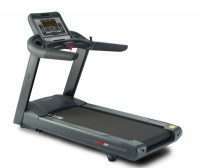 Shows speed, incline, time, distance, calories and pulse.